In 2016, Navya Kaur, fashion merchandising and digital retailing senior, was strolling through the markets of India with her grandmother when she became fascinated with the vendors’ jewelry craftsmanship. Inspired by their work, Kaur came home and started her own jewelry business. This train of thought led Kaur and UNT alumna Abby Santillana to create Kaahani, a small business providing small-batch, handmade goods sourced straight from artisans in India to local consumers. In the winter following Kaur’s return from her trip to India, she and Santillana formed their partnership and spent the next five months planning Kaahani’s launch. After graduating in December, Santillana now works as a social and content associate at the subscription service, Birchbox. However, she said Kaahani is still a key part of her life. 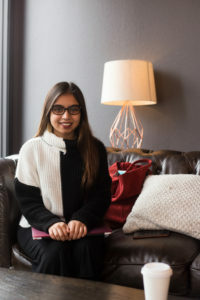 Kaur said starting the business was a process of finding her place in the fashion space and learning how to do something meaningful within it. Turning their dream of opening Kaahani into a reality ended up being lots of trial and error. Kaur and Santillana had to learn how to source products, research financial logistics and make arrangements with vendors in India. Navya Kaur is a co-owner of Kaahani, a small jewelry company focused on individuality and ethical practices. Image by: Dimaggio Escobedo. To ensure Kaahani maintains good communication with its sources, Kaur tries to take a trip to India at least once a year during school breaks. During these trips, she meets with the artisans and selects collections so orders can be replenished from the U.S. for the rest of the year. Because the Kaur and Santillana started the business with the intent of sourcing consciously and providing unique products, sticking to these goals and making a difference in the industry is important to the co-owners. When Kaur and Santillana launched Kahaani, they knew other businesses were conducting similar, ethical practices, but they said they wanted to make it even more accessible to young people by cutting out the middle man. Kaur said her mission is to ensure the needs of both the artisans and her customers are being protected by learning about the cost of making the products and what consumers can realistically afford. Planning to graduate in May, Kaur said she and Santillana plan to keep running Kahani and continuing to grow the brand. 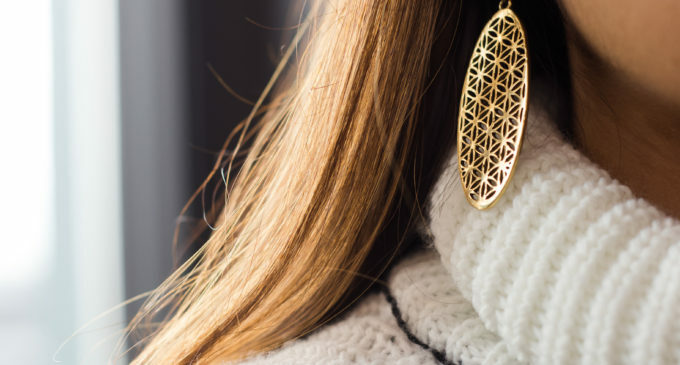 Featured Image: Navya Kaur, fashion merchandising and digital retailing senior, showcases ethically sourced jewelry from her small business Kahaani. Image by: Dimaggio Escobedo.